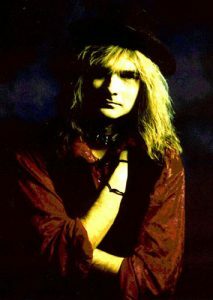 Best known for his musical project Ayreon, Arjen Anthony Lucassen was born on April 3rd, 1960 in The Hague. Both Arjen and his older brother Gjalt were good students, but unlike Gjalt, Arjen wasn’t interested much in studying. A notorious trouble-maker in class, Arjen decided to pursue a career in the music business after graduating high school. During his teens, Gjalt always teased Arjen a lot, and Arjen has been taking his revenge by playing jokes on his brother in the credits of his Ayreon CDs. If you look carefully, you’ll find a Gjalt ‘joke’ in the booklet of every CD released after 1995. Arjen’s love of music was sparked in the 60s, when he became a big fan of the Beatles. He started buying albums in the early seventies when the glam rock era started and bands such as T-Rex, Alice Cooper, The Sweet, David Bowie were rising stars. Arjen really wanted to be in a band but he was too lazy to learn to play an instrument so he started a play-back band mimicking his heroes Alice Cooper, Slade, and The Sweet. He actually did get a lot of gigs in schools and already then he was a busy guy. Then one day one of the older pupils approached Arjen saying “You have to listen to this,” and handed him a copy of Deep Purple’s ‘Made in Japan’. “Glam rock is OK, but this is really great.” When Arjen listened to it and heard Ritchie Blackmore’s guitar playing, he knew what he wanted: to play guitar! So he learned to play guitar and went through a stage where he had a lot of different bands until 1980. One of these bands was called ‘Mover’. Arjen had heard that the Dutch band Bodine had been looking for a new singer. Although he didn’t consider himself a great or gifted vocalist, Bodine was his favorite band so he wanted to get involved. The first album with Jay van Feggelen on vocals was one of his favorite albums. He figured that he would audition as a vocalist, and bring his guitar, hoping they would give him the position of second guitarist in the band. And they told him that he had good ideas, good lyrics and good melodies but his voice was not what they were looking for. So Arjen told them he had brought his guitar. Those were the days of guitar tandems in bands such as Judas Priest, Iron Maiden, Thin Lizzy. Arjen pulled out his guitar and his amps and just began to play some Bodine songs that he had been working on for a month. And they said: Ok, you’re in! Arjen stayed in Bodine from 1980 to 1984 and did two albums with them: ‘Bold as Brass’ and ‘Three Time Running’. and considers the time with them great, wild and quite enjoyable. He had more freedom to do what he wanted and to compose songs. But still, he had to make concessions since he was in a band and also had to deal with record companies demands. Not every band member agreed on his ideas, which made sense given the fact that they all hailed from different musical backgrounds. 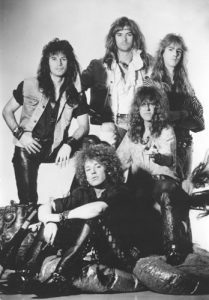 In 1989 the band replaced singer Leon Goewie with English native Ian Parry, but the band had a hard time getting a new style off the ground. In the early nineties the grunge and alternative rock genre exploded on to the scene. Arjen wished to go into a Rainbow direction with keyboards and bombastic sounds, and other guys wanted to explore Bad Company or Thin Lizzy styles. Because of this they wondered what the audience wanted to hear and started to write songs to please the fans. That was a bad decision. After a very successful farewell tour in 1992 Arjen parted ways with Vengeance. went by his middle name Anthony. On this album Arjen played all instruments himself, except bass guitar which was played by Peter Vink and keyboards which were played by Cleem Determeijer. He didn’t know what he wanted to do musically so the album became a hodge-podge of styles. Country, pop, rock, prog all sorts of different songs, and, even though three singles were released and Arjen performed on various radio shows and small clubs, the album flopped. But to those who listen to the album can hear that there are a few songs that became the basis for a massive project that was still to come. He was looking for a way to make a life-long dream come true of creating a rock opera. One particular album released during the 60s left a huge impression on Arjen. The album had everything Arjen was looking for: the music took him on an adventure, lyrics drew him into an emotional story, and reading lyrics along to discover that famous vocalists were playing parts. It became the ultimate tool for escapism for Arjen. The album was Andrew Lloyd Webber’s Jesus Christ Superstar. This album was followed by other similar albums such as War of the Worlds featuring Phil Lynott, The Who’s Tommy, Pink Floyd The Wall. After that Arjen realized that time had come to do it himself, and to do it his own way. Not limited music to one style. He used all his styles — prog, metal, folk, Beatles — despite being convinced that listeners with strong genre preferences would hate not being able to pigeonhole the music. But that didn’t matter to Arjen: for once in his life he wanted to make an album without compromises, just making the music he loved. 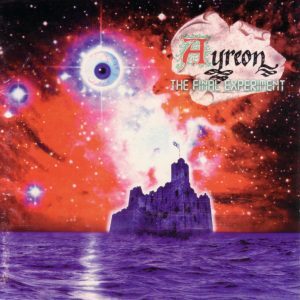 This album became Ayreon – The Final Experiment. He found a small Dutch label interested in the project and the album simply took off. 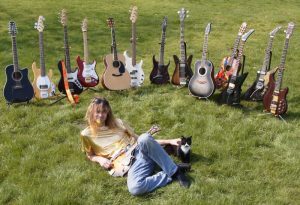 Several years later, after changing record companies, Arjen has released seven Ayreon albums as well as one compilation. See the full list of Ayreon albums here. In between Ayreon releases Arjen enjoys working on various side projects. Each of these allow him to focus on different stylistic aspects. 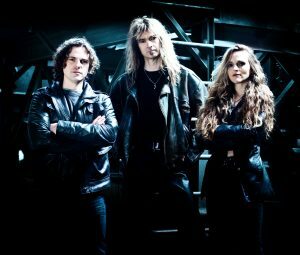 While Ayreon tends to mix a variety of genres and musical styles, his various side projects tend to be more coherently focused on one style. Below is a list of Arjen’s side projects to date. After I finished the second Ayreon album I really felt like freaking out. On the Ayreon discs everything is produced superbly. Every detail, no matter how minor, has been designed, has been thought about. I wanted to break free from that for a while. I wanted to run and dance through the room while recording. That’s what I did! Ambeon was Arjen’s second side project. So far only one album has been released: Fate of a Dreamer featuring vocals by Astrid van der Veen, who was only 14 years old at the time of recording. Originally Arjen set out to record an ambient instrumental album based on certain electronic patterns, chords and melodies derived from the recorded tracks of existing Ayreon songs (to test his new studio hardware system). In the process some new songs evolved, and Arjen decided that female vocals on one or two songs would add a warm human touch. But when Arjen heard Astrid’s amazing voice, he decided that one or two songs wouldn’t be enough. You can read more about Ambeon here. When Arjen makes a new CD, it is often a reaction to his work on a previous album. 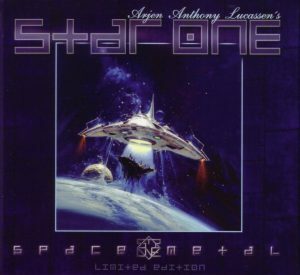 In response to the soft style of Ambeon’s Fate of a Dreamer (2000), Arjen went to the other extreme and created a full-tilt metal album with Star One Space Metal (2002). While not technically a band, Arjen did take Star One on the road in 2003. The result of this tour has been captured for posterity in audio and video, and was released in both CD and DVD as Star One: Live on Earth. 1n 2010 Arjen revisited the Star One project to record a second album, Victims of the Modern Age. 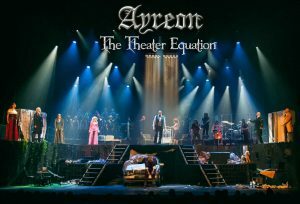 After Arjen had finished his Ayreon release The Human Equation in 2004, he wanted to do two things: showcase the many talents of Mexican singer Marcela Bovio, one of the vocalists The Human Equation, and form a proper band for the first time in 10 years. The result was the side project Stream of Passion, which featured heavy guitars and atmospheric trip-hop as a backdrop for Marcela’s mysterious gothic vocals. 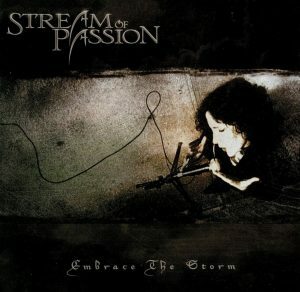 The album titled “Embrace the Storm” was released in 2005. Arjen took Stream of Passion to the road on four separate occasions. After the final tour in 2007, Arjen left the band to continue on its own, as had been the plan from the beginning. 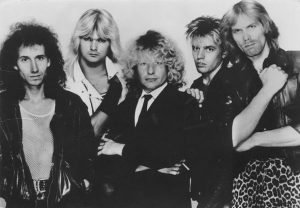 You can read more about the Stream of Passion in their current line-up on the band’s official website. Historical information about the band during Arjen’s involvement can be found here. Arjen’s next side project, Guilt Machine, featured the vocals of Belgian singer Jasper Steverlinck. The debut album On this Perfect Day was released in 2009 by Mascot records. The music ranges from dark and heavy to atmospheric and melodic. The lyrics, written by Arjen’s partner and manager Lori Linstruth, center around the themes of guilt and regret: guilt for past wrongs (real or imagined) and regret for words unspoken and deeds undone. Arjen’s fans were invited to submit audio messages related to this theme, the best of which were chosen to appear on the album, intertwined with the music. You can read more about Guilt Machine here. 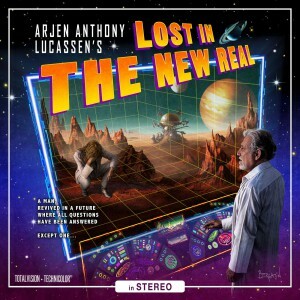 In 2011 Arjen recorded a third solo album called Lost in the New Real. You can read about it here. 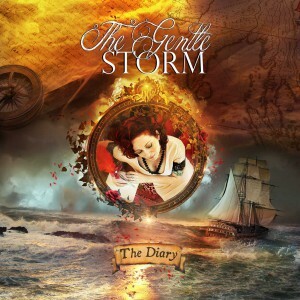 In 2015 Arjen teamed up with vocalist Anneke van Giersbergen for a new project called The Gentle Storm. You can find out more about it here. Ayreon fans were treated to a once-in-a-lifetime performance of the Ayreon album The Human Equation in September 2015. The performance featured nearly all members of the original album cast, as well as Mike Mills (Toehider, Ayreon) and Anneke van Giersbergen. It took place at the Nieuwe Luxor Theater in Rotterdam. The final show was recorded for a DVD release due in summer 2016. You can find out more here.